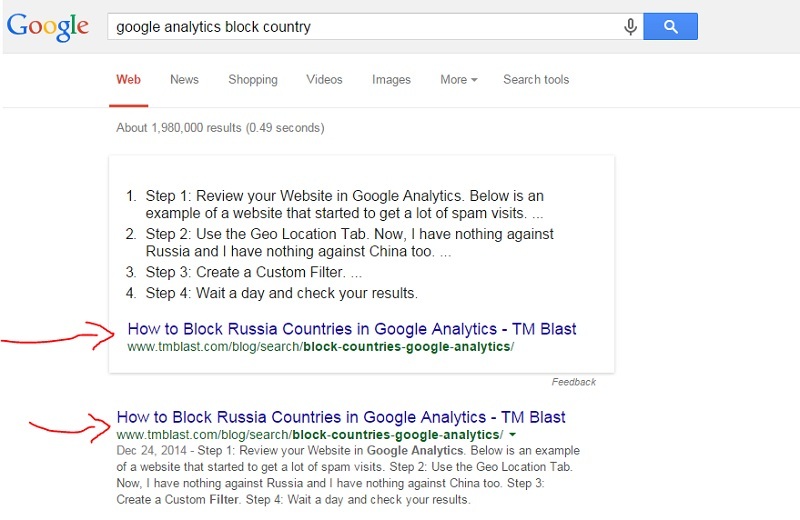 How would you like to get into Google’s search answer box for your website? Well you are in luck because I am going to break down the four simple steps to achieve this! This is a direct search query that Google has created an answer box for. The first step I did was create a H1 tag for the page. If you are looking to get into the answer box, you should form the H1 tag as a question. I highlighted the H1 tag on this page and showed the source code of what it looks like. The next thing that I did was create the steps for the H1 tag. I simply created the steps and tagged each step as an H2 tag. The next thing I did was write a sentence or two that explained exactly what the steps were about. You might think that this is obvious, but I don’t think it is that simple. The experience of the user starts with search and ends with being satisfied. Google wants the user to have a great experience when they use their service, so I am sure they are looking at many factors that show engagement when they show an organic listing in the SERP . What are some of the factors you might ask? If Google is going to show your page higher in the SERPS, you really should have a high click through rate. My hypothesis is that if you can’t maintain a very high click through rate at the top of Google, you will be dropped for another result. I believe that that is one of the factors why the SERPS change daily (or even hourly). I’ve seen instances where a keyword has jumped from position 5 to 2, but then was dropped back to 5 since the click through rate did not dramatically increase while improving the SERP position. Here is the data from Search Console that shows the click through rate for my page in Google. When I broke out some of the terms during these 90 days, I saw some terms had a really high click through rate. So, a great title tag and meta name description are important, but a high click through rate might not mean much if the user goes back to Google to refine that search. I might set up event tracking on the page, or I could set up heat tracking to see what the user is doing. I could even look at metrics like the average time spent on the page, or even the bounce rate. 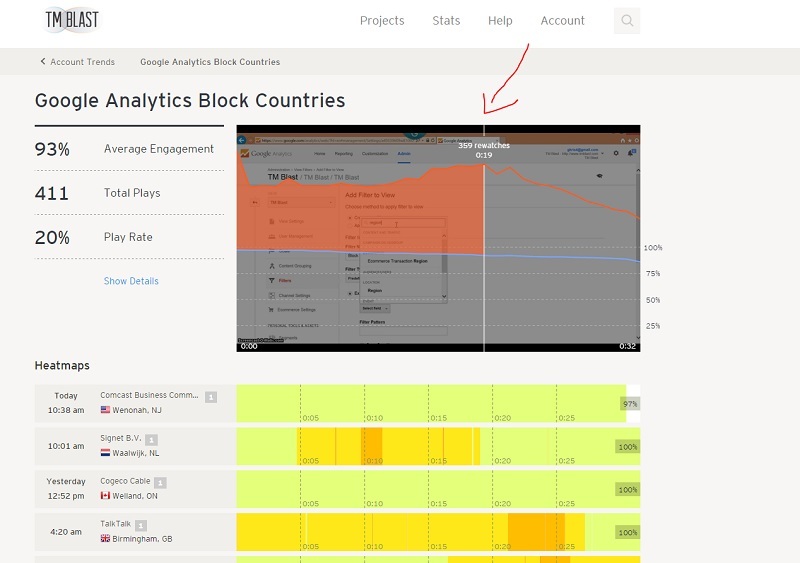 However, I look at my video analytics from Wistia to see how the engagement is on the page. This heat chart is what I actually use to see how effective my page is. While the play rate might seem a bit low at 20%, I know not everyone will want to watch a video when they come to my page. However, I know that the 20% that actually start the video stay on the video for 93% of the time. Another factor that I notice is that my video is actually being re watched at certain sections. This is one way I can tell that a user is engaged with this page. If they are going back to a particular spot during the video, I believe that means that they are actively engaged with what the content is about. This could signal an engagement metric for Google. Yes, you can have spam in your comments, but I think genuine comments at different times will show engagement for Google. Most of the comments are actually asking questions instead of just “great post”, so I think that there is something behind this. Don’t forget about this! Users could be coming to your site via their smartphones, so you need to give them the same great experience as the desktop user.